Now that it’s February, I figure it’s time to stop procrastinating and get serious about my New Year’s resolution: dry January (oops!). Let me start by saying I didn’t make it past day two of dry January — I love alcohol. But in the new year, I really do want to cut back on the booze for the sake of my skin, my tummy, and my wallet. I had heard about the booze-free beverage trend taking the form of mocktail lists at restaurants, but to me, a concoction of juices (especially without alcohol) is just wasted calories. Then, I heard about a “euphoric” beverage through the grapevine. Kin Euphorics, according to its website, claims to “balance stress hormones and replenish neurotransmitters.” No booze, no nasty hangover. As incredible as that sounds, I was skeptical, especially when the three main ingredients are big fancy words: nootropics, adaptogens, and botanics. So, I got a bottle of Kin High Rhode and poured myself a Kin and tonic to see for myself. What are “euphorics” anyway? 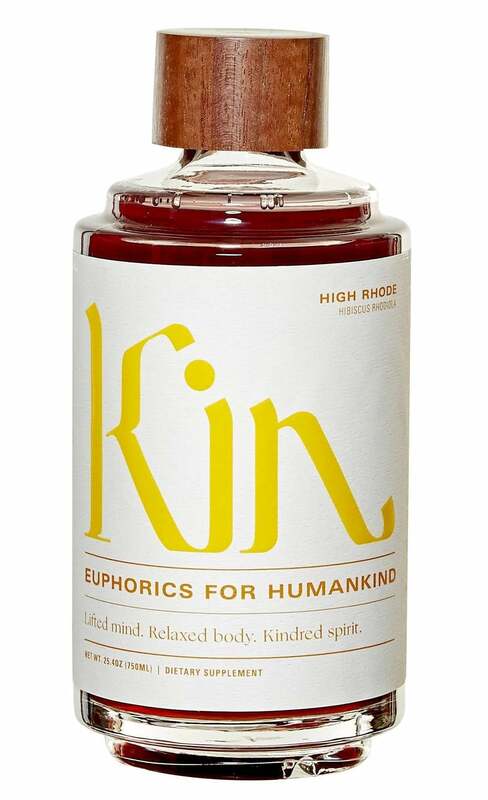 According to Kin’s website, Euphorics are the brainchild of “ancient remedy” meets “modern alchemy.” Those three big fancy words supposedly “work in harmony to uplift mood, enhance perception, and deepen connection.” Kinda sounds like something you might find at a music festival to me. 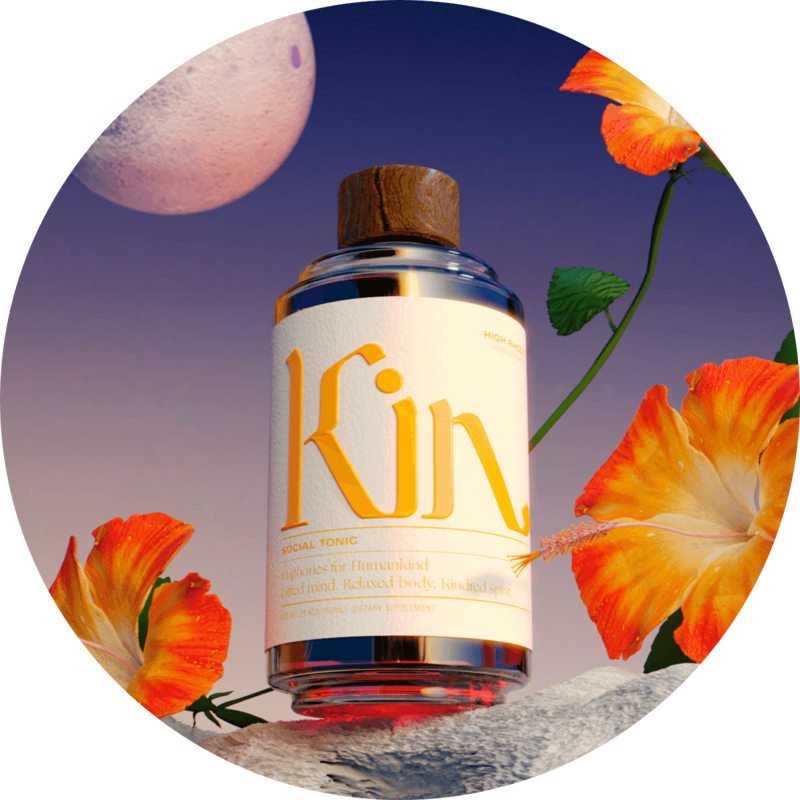 Kin contains what it calls “mind-nourishing” nootropics, “body-balancing” adaptogens, and “replenishing” botanics. OK, but what the hell does that mean? You might have heard of nootropics referred to as “smart drugs.” The blanket term can refer to anything from coffee to cocaine (Kin only has caffeine in it). The term was originally coined by psychologist and chemist Corneliu E. Giurgea, PhD, for compounds that enhance cognitive function. 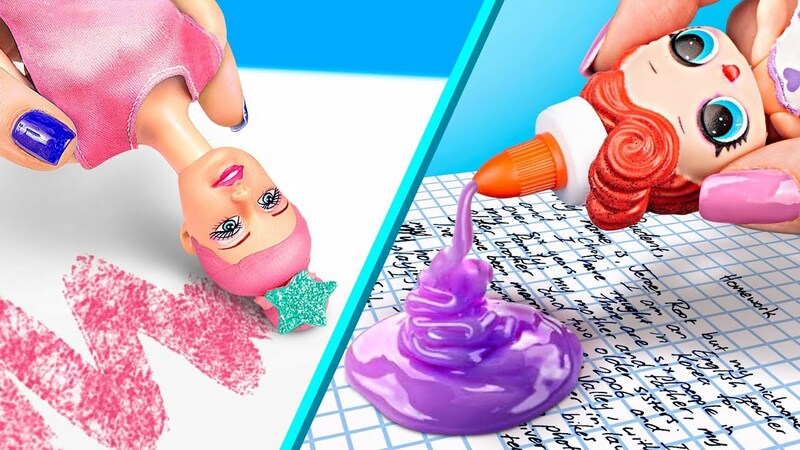 Our brains supposedly take Kin’s nootropic ingredients — GABA, phenibut, citocoline, caffeine, 5-HTP, phenylalanine, and tyrosine — and convert them into neurotransmitters, aka the brain’s messenger neurons, of which they are depleted after a long, hard day. 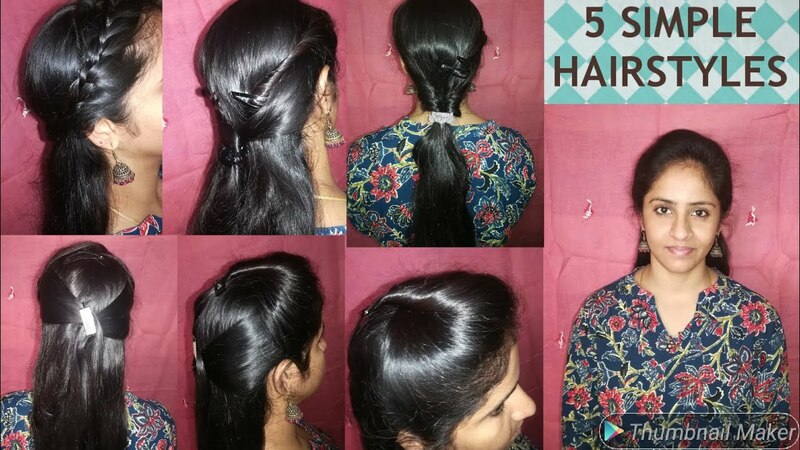 5-HTP is converted into serotonin, tyrosine into dopamine, and so on. Adaptogens date back thousands of years in Ayurveda (and more recently, Western science). Kin contains rhodiola rosea, which is believed to reduce stress and fatigue, among other benefits. Botanics are plants used for their supposed therapeutic properties. 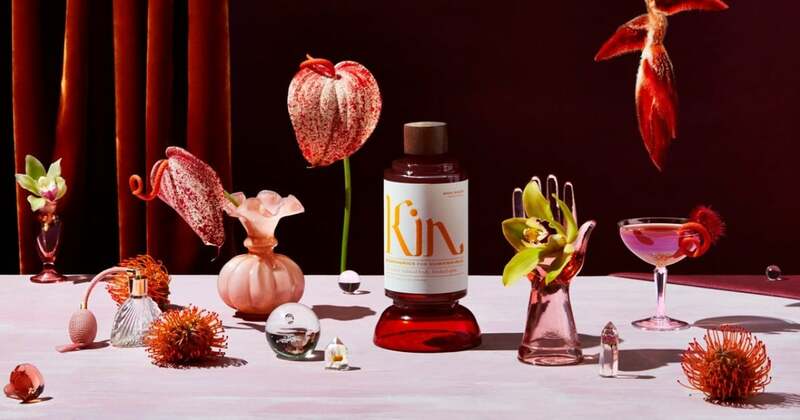 Kin contains hibiscus, gentian, orange peel, licorice, and white grape. Kin does not contain alcohol. While Kin is a nonalcoholic beverage, it is not intended for those under 18. It is also free from gluten, dairy, nuts, and added sugars (note: Kin contains stevia). 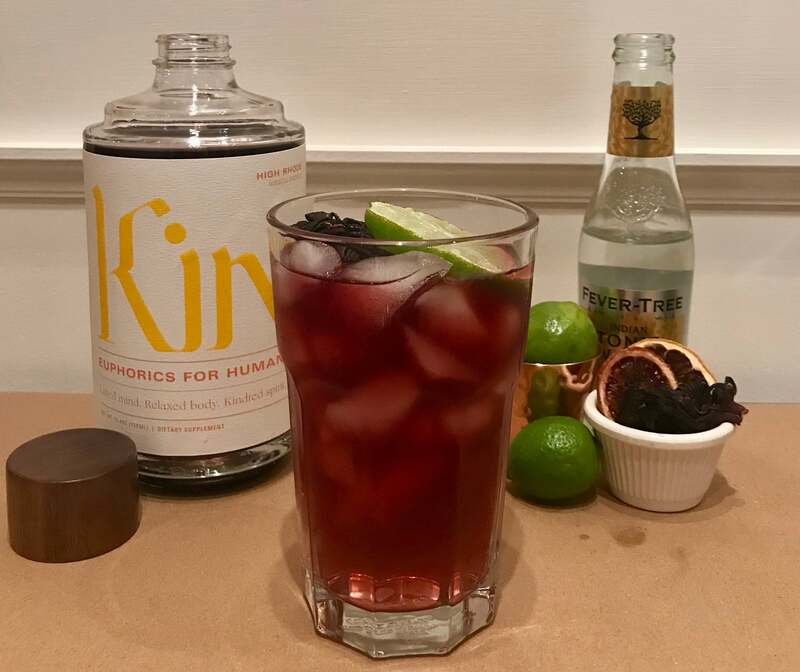 Upon receiving my bottle of Kin High Rhode, I was provided with a recipe for a Kin and tonic and a word of advice: Kin is meant to be drank similar to vodka or tequila; while you can drink it straight, it is best mixed. That, of course, did not stop me. How does it taste? Served straight, Kin tastes how you might expect a beverage infused with plants would: earthy with a dash of bitters. Take my word for it, it is not worth trying this way. However, served over ice with a splash of lime juice and topped with tonic water, it tastes like a light, hibiscus-infused gin and tonic — yum! Is Kin for you? Kin has found a permanent place on my bar cart. Since trying Kin, I have cut my alcohol consumption in half and I feel great. 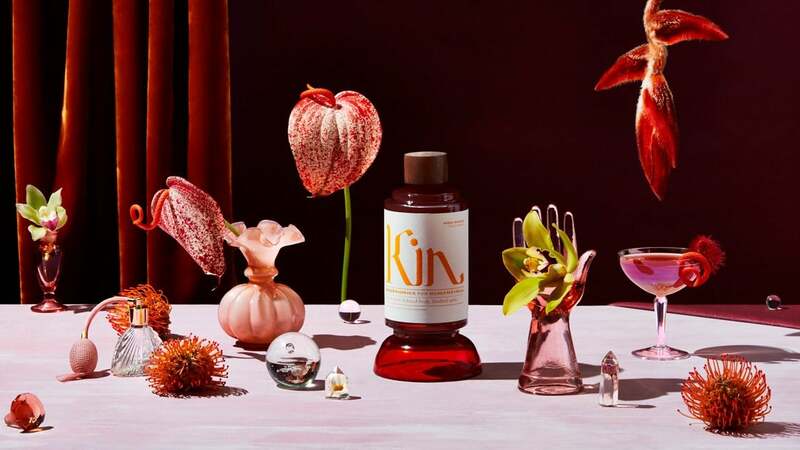 Kin is the perfect weekday companion after a long day at work. That being said, I still feel there’s some things only a glass of wine (or three) can fix. Nonetheless, I would recommend Kin to those who drink and those who do not, as well as those who are just taking the day off. 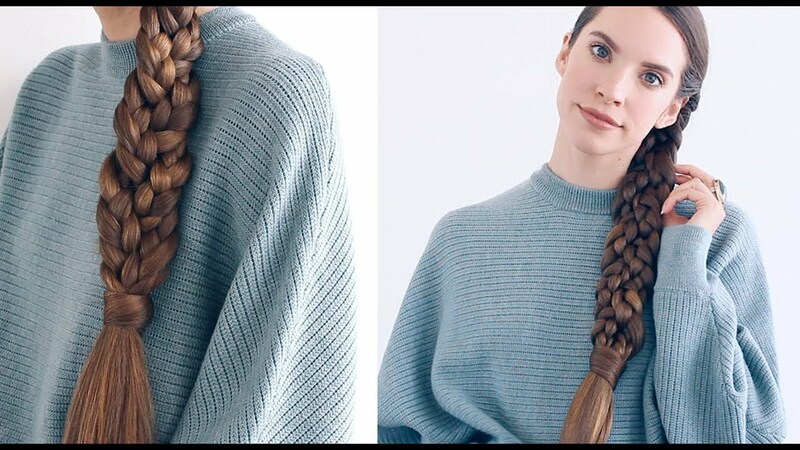 Kin High Rhode ($47) is available for purchase online at Kin’s official website.